MTDO bridges the gap between the community and organizations that need volunteers to make a difference. We work to assist many different causes and encourage those in our community to find the one that touches their heart. Volunteering at Clean the World is appropriate for kids as well as adults. Volunteers must be at least 8 years old. Children ages 8 through 15 require supervision by a parent or guardian. A signed liability waiver is required for all participants regardless of age. Copyright © 2010 Making the Difference OUTREACH - All Rights Reserved. I agree to defend, indemnify, release and hold harmless Clean the World, its staff and board of directors, for any claims resulting in personal injury to me or others, and/or property loss incurred by me or others, that are or may be asserted arising from any volunteer activities associated with Clean the World. I hereby agree not to divulge any information or records concerning any Clean the World program participant without proper authorization in accordance with state and federal law and interagency agreement(s). During the time of my volunteer service, I may have access to confidential information required for effective family services coordination and delivery. I agree that all discussions, deliberations, records, and information I may come in contact with will not be disclosed to any unauthorized person. I recognize that unauthorized release of confidential information may expose me to civil/criminal liability. I agree to respect the privacy of all children and Families and hold confidential all information obtained in the course of service as a Volunteer at Clean the World. As a Clean the World volunteer we know you share our interest in providing the utmost quality care and concern for our children, below is a list of protocol that ensures Clean the World remains a professional environment while being child-friendly and child-focused. The standards below are to be maintained by each volunteer during their time with Clean the World. The following protocol is to be reviewed prior to volunteering with Clean the World. Appearance: Neat, clean and appropriately dressed to allow for the child-friendly, child focused nature of our work. Sneakers are strongly suggested. Clothing should not have offensive or derogatory statements or language and volunteers should refrain from wearing clothing that shows too much skin. Behavior: Focus is on the child and family always. Professional conduct includes confidence in your approach, respect for those you are working with (children, families, staff, and other professionals), assertiveness when required, good listening skills, and good speaking skills. Foul or coarse language is absolutely never appropriate. Offensive statements or actions are unprofessional and will not be tolerated. Clean the World strives to be a positive force and good role model in the lives of the children we see. As such, smoking is not permitted in front of the children. The consumption of alcoholic beverages during the volunteer period is not permitted. Attitude: A positive attitude is a must while volunteering with Clean the World. Negative responses create a negative atmosphere. Presenting a friendly attitude to children, families, staff, and other professionals will help maintain the fragile balance of professional and child-friendly. Interactions with Clients: Volunteer interactions with clients should take place with the safety of the child in mind. All volunteers are required to sign an oath of confidentiality to protect the privacy of our clients. Volunteers should maintain a congenial interaction with children and their families while at Clean the World but fraternization is strictly prohibited. Events sponsored by Clean the World are for the benefit of the children and families. In order to respect the confidentiality of our clients, please refrain from solicitation of your group’s membership and activities while volunteering at Clean the World. 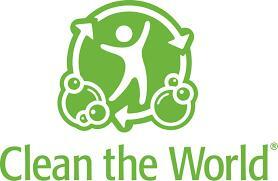 Service referrals for an individual or family to your group or agency need to be made through Clean the World. Photography: While we encourage volunteers to take photos to capture volunteer memories, it is never appropriate to take photos of clients. Volunteers should refrain from taking any photos of the children or with the children attending the event. Contact with Media: As a volunteer, you are not authorized to have contact with the media. All media inquiries regarding the organization and its operations must be referred to the Executive Director. Only the Executive Director is authorized to make or approve public statements pertaining to the organization or its operations. Clean the World has vital interests in ensuring a safe, healthy and efficient working environment for our volunteers, employees and clients we serve. Being under the influence of alcohol or any unauthorized drugs will not be tolerated and will result in immediate termination of your volunteer position with Clean the World. If as a volunteer you run an errand on behalf of Clean the World you will need to present Clean the World staff with proof of car insurance and make a copy to be kept in your Kids House volunteer file. All volunteers participate at their own risk. Clean the World liability and workers compensation does not cover volunteers.